Yesterday (10 February 2013), the European Citizens’ Initiative (ECI) ‘Water is a Human Right’ succeeded in collecting 1 million signatures of EU citizens. It is the first of the 15 open ECIs to reach the required amount of signatures. The ECI has been created by the Lisbon Treaty* to enhance participatory and direct democracy, addressing the EU democratic deficit. It took more than one year after the entry into force of the Treaty, on December 2009, for the European Parliament and the Council of the European Union to adopt a Regulation setting out the rules and procedures for the ECI. Then, in April 2012, the first ECI, ‘Fraternity 2020’ was launched. A successful ECI, after its registration and the certification of its online collection system (OCS), must gather at least one million EU citizens’ signatures (statements of support can be on paper and/or online), coming from at least 7 out of the 27 member states, within 12 months. Since the 30th of March 2012, a minimum number of signatories is required in each of those 7 member states. This is in order to take into account the change in the basis for calculation (the number of Members of the European Parliament per Member State). ** The ECI does not lead directly to decision-making but it is, rather, an invitation for the European Commission to initiate a legislative proposal on matters where the EU has competence to legislate and following the exclusive right of legislative initiative. The first 9 initiatives which were open have encountered difficulties in the signature collection process. Therefore, the Commission decided to extend the collection deadline until the 1st November 2013. Indeed, there have been complaints from the part of ECI organizers which was taken over by the coalition of NGOs called ECI Campaign***. It was pointed out that the OCS infrastructure is rather confusing and not “user friendly” enough. The ECIs are listed on the EU ECI website, but each initiative has an individual website left to the care of the organizer. When you want to support an ECI, you are redirected from the initiative website to an online platform, where you can enter your personal data (name, country of origin, passport/ID number). When one has experienced the system, it is true that there is room for improvement; a better interface could be a plus to encourage people to take part in ECIs. Having a closer look at the ECIs, there is a variety of topics present and there are important discrepancies in the number of signatures for those ECIs launched at about the same time. For example, ‘Fraternity 2020’ is below 60 000 signatures while ‘Water is a Human Right’ already passed the million and hopes to reach 2 million by September. It is also interesting to underline the important gaps between the websites, which reflects the differences in resources of the organizers. Some ECIs are backed by well-established NGOs (e.g. 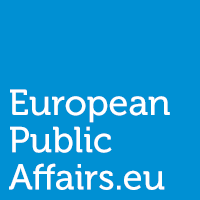 ‘European Initiative for Media Pluralism’ supported by journalist associations) and are part of a broader project/campaign (e.g. ‘High Quality European Education for All’, it includes consortium/network building and events). Certain ECIs also benefit from good media coverage and active political support (e.g. ‘Single Communication Tariff Act’), while others are the initiatives of more isolated actors (for instance, the initiative called, ‘Pour une gestion responsable des déchets, contre les incinérateurs’, with its ‘homemade amateur’ website style). In conclusion, the ECIs are relatively uneven regarding the number of signatories, the available resources and the impact of the campaigns. This can be explained by the variety of actors in organizing and backing the initiatives, as well as, the extent to which the topic of an ECI can be successful in reaching a general public. Thus, water issues seem to impact more than vivisection or international student exchanges. After almost one year of open initiatives, only one has reached the million signatures. The Commission, as well as national media, should promote the ECI in order for it not to be unheeded. Moreover, for now, ECIs appear more as a means for NGOs and individuals to raise awareness on specific issues, than an actual way of getting the European Commission to propose legislation. On one hand, a better communication on ECI and technical adjustments, especially the OCS, are a must to overcome the initial difficulties. On the other hand, the disparities between the initiatives are inherent to the system; there will always be disparities between the initiatives, since everybody can set up an ECI, given that the basic criteria are met. The Commission should just reinforce the access to set and sign of ECIs for EU citizens. Overall, in spite of a quite disappointing start and room for improvement, the ECI is a relatively positive creation. However, it will take time before emerging as an efficient tool for participatory democracy. Now the initiative, ‘Water is a Human Right’ has collected 1 million signatures, however, it must continue to collect signatures until the distribution quorum of at least seven member states is reached, and also to compensate for potentially invalid signatures. The Commission has not yet commented on this first step of the process, though this is the same Commission that was at the origin of the initiative and should be thrilled of this first success. The absence of reaction can, a priori, be surprising but when having a closer look at the initiative; it seems that the ideas proposed could conflict with the European Union policies. Indeed, the EU Commission already made a first step towards the liberalization of services with the so called ‘Bolkestein Directive’ or ‘Services Directive’ (Directive 2006/123/EC). Public services or services of general economic interest, such as financial services, telecommunication, transport, healthcare services, gambling activities and certain social services were primarily excluded. However, the postal services were subsequently liberalized (Directive 2008/6/EC). Now there are more sector specific rules and incentives towards liberalization. The liberalization of public services or services of general economic interest, especially water services, have met strong resistance from the part of civil society organizations, towns, municipalities and the European Parliament. ‘Water is a Human Right’ is supporting the idea that water supply and management of water resources are public goods and therefore, cannot be subject to ‘internal market rules’. It should be excluded from liberalization. The question then is, what will be the Commission’s reaction to the initiative? Will it “follow the invitation” to draft a legislative proposal on preventing liberalization of water services when such a policy would be inconsistent with its previous policies, and against the ideas underpinning the Internal market? We can have serious doubts on this matter. On the other hand, not reacting to the first successful ECI would be a bad signal sent to European citizens. Note: The United Nations General Assembly explicitly recognized the human right to water and sanitation, acknowledging that clean drinking water as well as sanitation are essential to the realization of all human rights in its Resolution 64/292 of July 28, 2010. * The legal basis of the citizens’ initiative is set out in Article 11, Paragraph 4 (TEU) and Article 24, paragraph 1 (TFEU).